Valentine’s Day is around the corner and it’s time to pump up the volume on the heart factor. That’s why this week is all about the Hearts & Kisses block. Let’s face it, with a last name like Valentine I’m kinda of sucker for all things heart and Valentine’s Day related. While the overall construction is a simple patchwork, the center unit can be tricky. 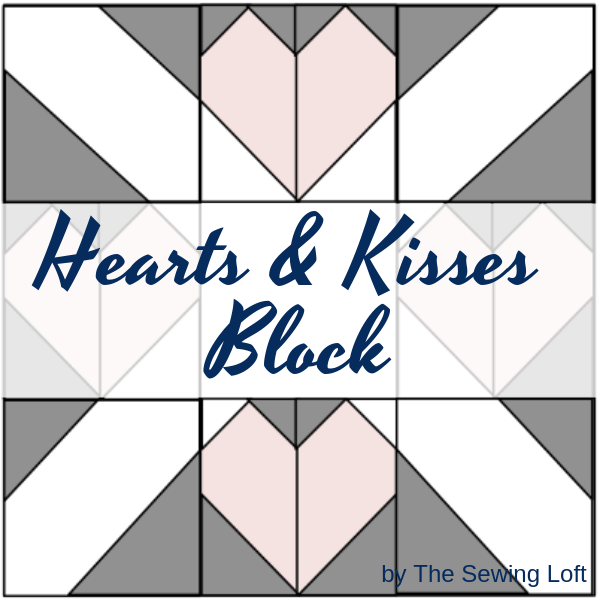 Add in small pieces for the 6″ block and I’m rating the Hearts & Kisses block a perfect partner for the confident beginner. 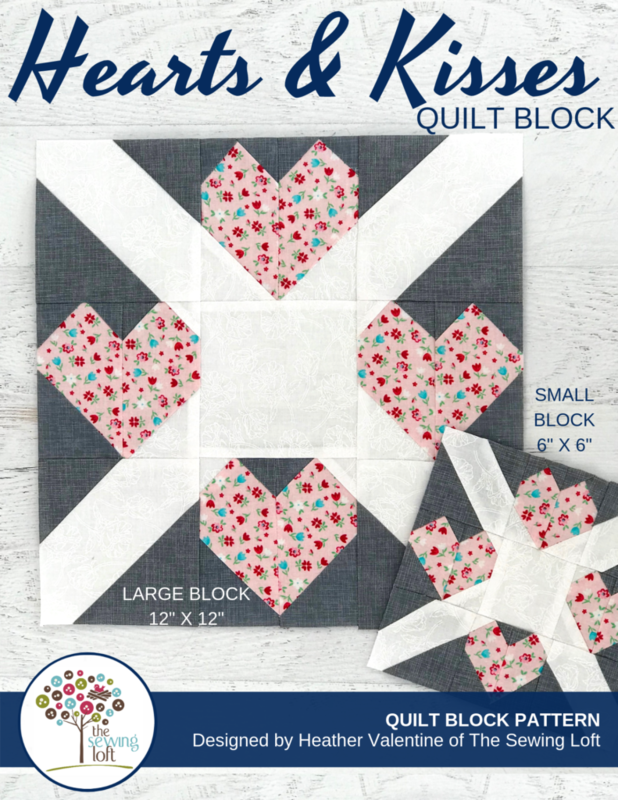 I really had so much fun playing with this block that I even did a mock up quilt layout using the 12″ finished blocks. You can see that it is super simple and just alternates the block direction for each row. 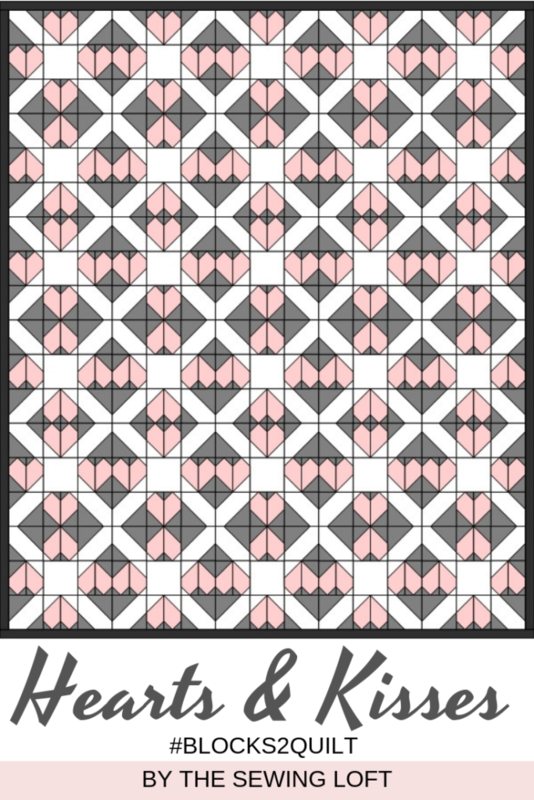 I really think this layout would look amazing made with scrap fabric hearts. After check out, the pattern instructions will be instantly sent to your inbox. Then you are all set to grab your fabrics and start sewing.